Your gas furnace should be maintained, adjusted, and inspected regularly to ensure optimum performance, efficiency and safety. 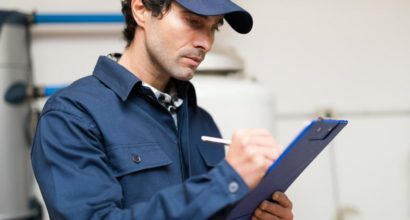 An annual inspection allows a technician to identify and address issues before they cause more damage to your system. New generation models are designed for custom set up in conjunction with other equipment to work as they were intended. Fan settings must be adjusted for proper temperature rise across the furnace as per manufacturers specs and these points are often overlooked. We often find this initial set-up was never completed properly or correctly (unless we installed the equipment, of course). Code requirements and new updates are considered during inspection. On propane and natural gas appliances, burners, sensors are checked and cleaned, if required. Inspect burner assembly clean and adjust as needed. Inspect controls (thermostat), safety’s, auxiliary controls, wiring and connections. A Combustion Efficiency test is taken and printed, indicating combustion properties important in diagnosing problems such as a cracked heat exchangers. Adjustment for optimum efficiency is done, and determining if the unit is operating safely, or needs replacement. The AC coil, secondary heating coil, and furnace fan is checked for buildup of dust, and if required, pulled and washed (extra charge may apply).